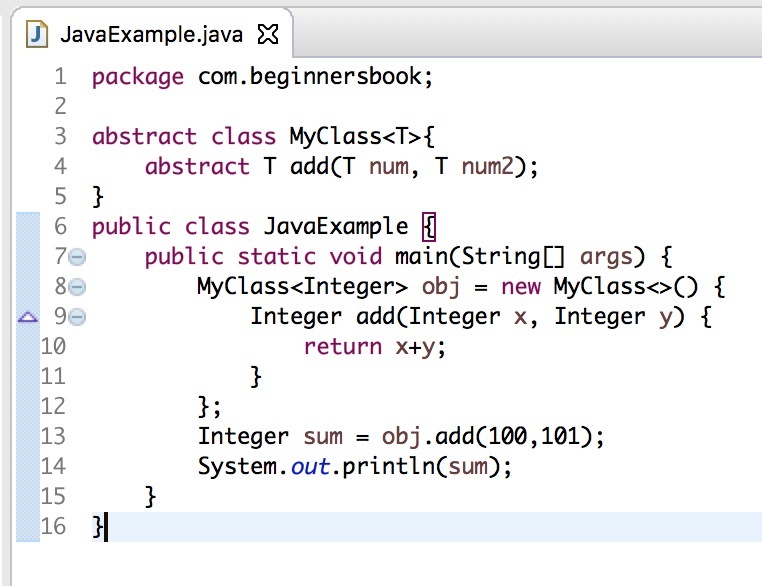 In this post, we will discuss the diamond operator enhancement introduced in Java SE 9. Diamond operator was introduced as a new feature in java SE 7. The purpose of diamond operator is to avoid redundant code by leaving the generic type in the right side of the expression. // in the right side as well. // instead we can use diamond operator. Compiler can infer type. We got a compilation error when we ran the above code in Java SE 8. Java 9 improved the use of diamond operator and allows us to use the diamond operator with anonymous inner classes. Lets take the same example that we have seen above.